On April 9, 2018, Fleetwood Mac announced that Campbell would be joining the band to replace lead guitarist Lindsey Buckingham. Mike also leads his own band, “The Dirty Knobs,” a rock outfit with influences including The Kinks, Led Zeppelin, and The Animals. 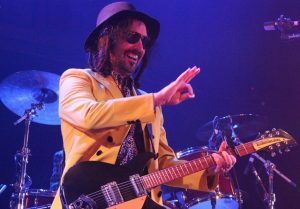 On November 11, 2011 Rolling Stone magazine included Mike Campbell on their list of top 100 rock guitarists of all time. 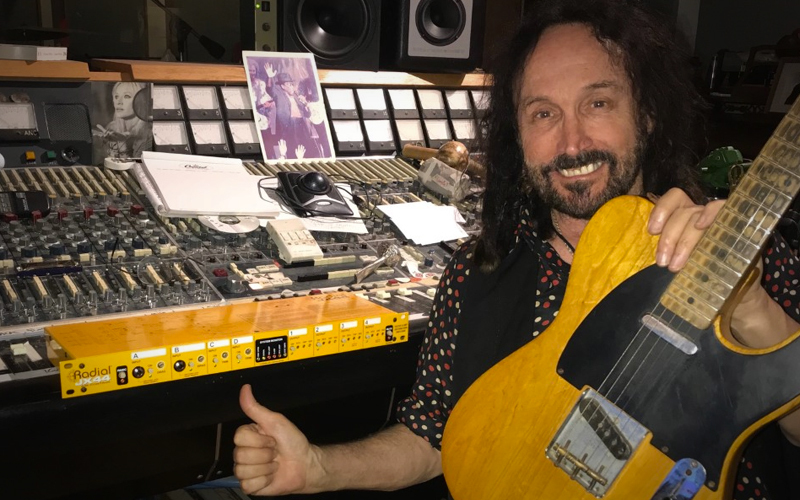 In June 2018, Mike Campbell agreed to work on an artist endorsement with Radial. Mike has been a long-time user of Radial gear, and while in preparation for the 2018-2019 Fleetwood Mac tour, Radial artist relations guy, Jim Rhodes, and Steve “Chinner” Winstead, Mike’s longtime tech, put together a list of Radial gear for Mike’s new rig with the help of Dave Philips of LA Sound design. Dave has been involved with Chinner building the pedalboard and system prior to the start of Fleetwood Mac rehearsals. At the core of Mike’s new rig is the Radial JX44 used to switch multiple guitar inputs and amp outputs. As Mike uses multiple guitars and amps for different sounds, the JX44 manages the switching of guitar inputs and outputs to amps, while maintaining levels and signal flow from the amps to Mike’s on stage pedalboard. The Radial SGI44 is a studio guitar interface that sends guitar signals over long distances without signal loss or noise. With built-in send and receive functions for bidirectional signal routing when used with the JX44, the SGI44 allows Mike to manage his pedalboard signal while instrument switching and amp control are managed off-stage by Chinner. The SGI44 takes care of all the balancing, buffering, and impedance matching to ensure Mike’s signals are delivered without noise or distortion. Various Radial DIs are used on acoustic and piezo instruments where the Firefly, JDV and PZ-DI come in handy. For cleaning up signal and eliminating noise, the Phaser, JDI Duplex, Twin-Iso and MC3 are also on hand to solve problems. We would like to welcome Mike to the Radial artist roster and thank him for the support over the years. We look forward to working together with Mike and Chinner as they start the Fleetwood Mac tour.